Bug Hunters Snag Some Bugs! 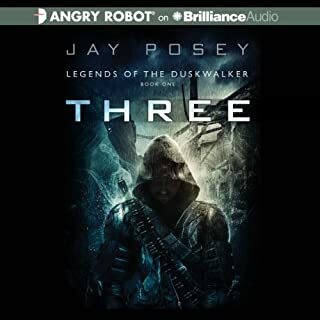 The final audiobook in the acclaimed Duskwalker trilogy. Wren is living in Greenstone under the temporary care of Charles and Mol and the protection of Chapel. Unable to determine the fate of his mother and those he left behind in Morningside, Wren believes there is nothing left to do but wait for Asher's final blow...until a man named Haiku walks into the Samurai McGann, looking for Three. After learning of Three's fate, Asher's ascension, and Wren's gift, Haiku offers his help, and together they set out to find the remnants of House Eight and convince them to help. As Cass and the few who survived the fall of Morningside face overwhelming odds to escape Asher and the Weir, they realize it is impossible...until their daring and probably suicidal plan to strike turns out to have surprising results and unexpected discoveries. 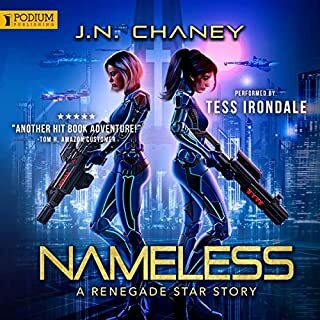 Back in Greenstone, one of the border cities likely facing Asher's next assault, Charles uses his network of influence to try to create a city defense. 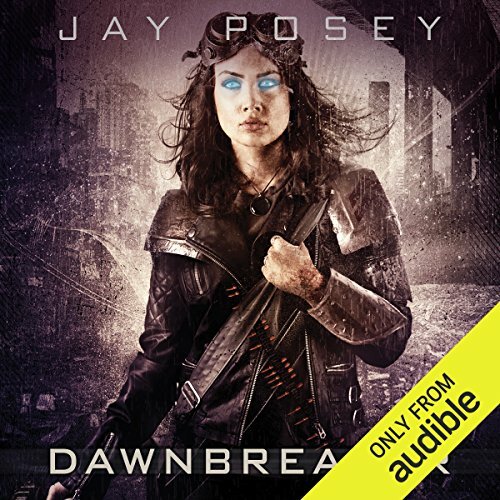 Jay Posey is a narrative designer, author, and screenwriter by trade. He started working in the videogame industry in 1998 and has been writing professionally for over a decade. He's spent around eight years writing and designing for Tom Clancy's award-winning Ghost Recon and Rainbow Six franchises. Jay has lectured at conferences, colleges, and universities on topics ranging from basic creative-writing skills to advanced material specific to the videogame industry. Jay Posey once again decides to add new characters to the mix for Dawnbreaker and this time it really helps return the series to form. The new characters fill the void left by Three and they make Wren's storyline immensely more interesting. Wren's fate has been mostly dictated by others throughout the first two books and now he finally decides to take matters into his own hands. Cass and many of the other characters from the first two books are also back on center stage as the series picks back up and is once again running on all cylinders. There was an air of mystery that surrounded Three in the first book, even more so because he was disconnected from the data network that everyone else relied on to survive. He was clearly a hardened man with the skill set needed to survive in an apocalyptic wasteland and one must wonder how he became that way and why he is disconnected. Well that background information is finally provided as Wren's storyline gets flushed out in preparation for an inevitable confrontation with his half brother, Asher. Clearly Wren and Asher are both very talented and powerful individuals and they do share one thing in common - their mother. Cass has undergone a transformation over time, starting out as a drug addict on the run while being an overprotective mother to Wren and now finally realizing that her responsibility to protect people from her evil son, Asher, extends beyond just Wren. Like Wren, her character really grows in this book as she takes a more active role in determining her own fate, becoming a lot more than just Wren's mother. Even though I really enjoyed this book, the series itself still leaves me feeling a bit unsatisfied because the world building I was hoping for has never arrived. With a few exceptions, I am still left wondering why the world is in this dilapidated state and why the Weir are they way they are. Perhaps the series will be continued at some point and that background information will be provided, but it isn't present in this initial trilogy which wraps up the existing story nicely. Once again Luke Daniels delivers a solid performance as the narrator making this a worthy listen. Excellent story, well written and performed. The characters are very real in the struggles that encounter. A great end to an amazing series. Luke Daniels brings the characters to life with his masterful reading. I have to be honest; I really was a bit hesitant about starting this one after my disappointment in book 2. And before I get started I do want to say that Jay Posey has created an incredible new world (at least for me it is). I found it to be very original and not like anything else I have been reading/listening to lately. Which is very refreshing because so many books lately seem so similar that as I’m reading I’m thinking…have I already read this…? So, what to say without giving spoilers ……This one picks up where book two leaves off, Wren and Cass separated, Asher in charge of Morningside and the build up to the showdown. 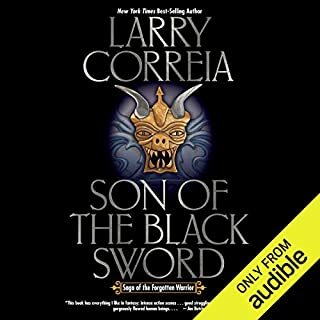 I have to say, I don’t know if I just lost my enthusiasm for the series or if my reading/listening funk is just making every thing seem kinda ‘meh’, I will most likely come back to this series in the future and give the last two books another go. The ending doesn’t quite top the awesome beginning to the series with Three, it is much, much better than the second installment. I did feel like this one dragged a bit, but it does pick up and everything is wrapped up neatly. 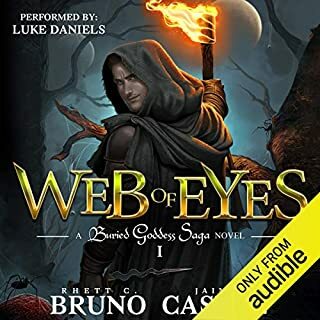 The narrator Luke Daniels…..I can’t say enough about him, he is an awesome narrator and he did an amazing job with this trilogy. He is one of my favorite narrators and one of the main reasons I decided to try this series. Highly recommend the series. Have listen from book 1 to book 3 non stop. Personally book 1 was the best but the other was still good enough not to put down. I didn't want this series to ever end! I fell in love with all the characters as Luke Daniels brought them to life. What a wonderful performer and story. I shouted for Joy, I cringed, I cried, I laughed and I cheered. I cannot say enough good things about this series. Thank you, thank you, thank you for bringing this into my life. 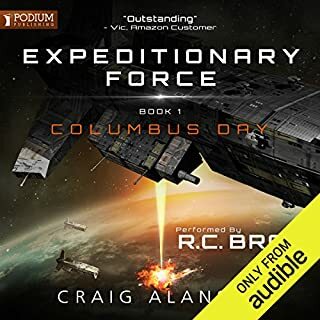 If you love sci-fi , this is a very good very good series with great story line. Book 1 and 3 are my favorites but the series is definitely worth your time. Normally I just rate the books and not do a full review, but this series changed that. This series was well written, well read, and well received . To incorporate many stories and not confuse the listeners alone is worth it. When you add in a great story it becomes a win win. If you could sum up Dawnbreaker in three words, what would they be? All through out I was thinking "There is no way this book is going to be able to wrap up everything" But it did, it managed to get a whole lot done in its pages and done well. It was entertaining, I was rarely if ever bored, and it did not leave me disappointed. The closest thing to a negative I can think for it was that its wrap up of the 'Houses' seemed a bit weak but I can imagine there was little choice there. So yeah its great. A neat conclusion, tied the trilogy up nicely. I know a number of people did not much care for Morningside Fall (and I would agree that it was the weakest of the three stories) but after reading Dawnbreaker, I feel much better about it. Essentially as it was a necessary vehicle to introduce Gamble, Mouse and company. I think that if you liked Three at all, you will get into this with some ease. This book gives you a bit of a glimpse into the background that many felt the trilogy was lacking. It builds up to a significant ending which I struggled to believe was going to happen with only 2 hours to go. If I had a criticism, there was too much faffing about at the start of the book and it wound up too quickly, for example, they spend a couple of narration hours escaping a building and running to a shelter but the final showdown is about 30 minutes. Overall though, I enjoyed this as much as 'Three', I felt the main characters had been richly portrayed and I felt myself rooting for them all. 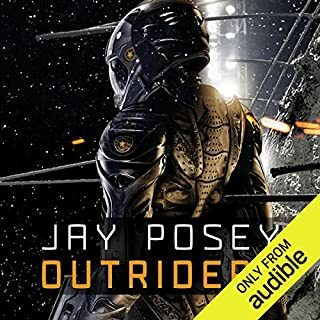 I'm glad I consumed all 3 books and will look out for more Jay Posey in the future. I really enjoyed the narration from Jeff Daniels, he has joined Sean Barrett at the top of my favourites list. This is a very well crafted series of novels - in some ways it feels derivative - there are several familiar elements but those elements are combined so expertly, with strong characterisation and great pacing. I cannot recommend this series highly enough, if you find yourself a little confused at the outset stick with it, just strap yourself in and enjoy the ride. Loved the series. Narrator was very believable. Will listen to the trilogy again and again! Intrigued to see if mr posey will carry on with his creative world - many questions remain for me - what exactly are the weir, how did they come into existence, how do they create themselves from corpses/the dead ... Questions, questions ... unless I missed some vital information regarding this. Thoroughly enjoyable listen. Thank you Mr Posey! Thoroughly enjoyed this series.On our with the likes of Hunger Games and Divergent. Hope someone makes a movie, game or anime based on this.